Since I usually do a review or recap post of my holiday vignettes, I am limiting this review to non-seasonal vignettes. 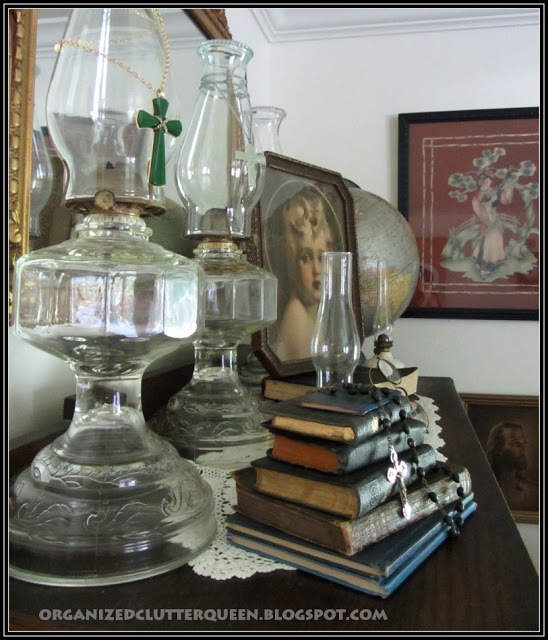 I added a thrifted globe and a vintage "Light of the World" print in this post. 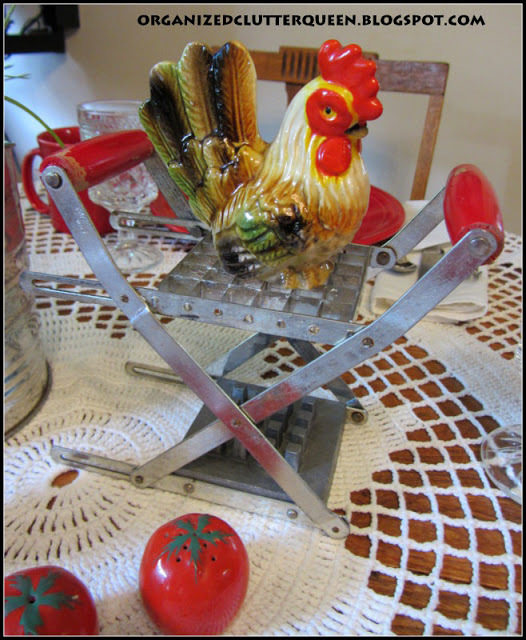 I used a vintage French Fry Cutter, roosters, and a vintage flour sifter as a centerpiece in my first tablescape post. 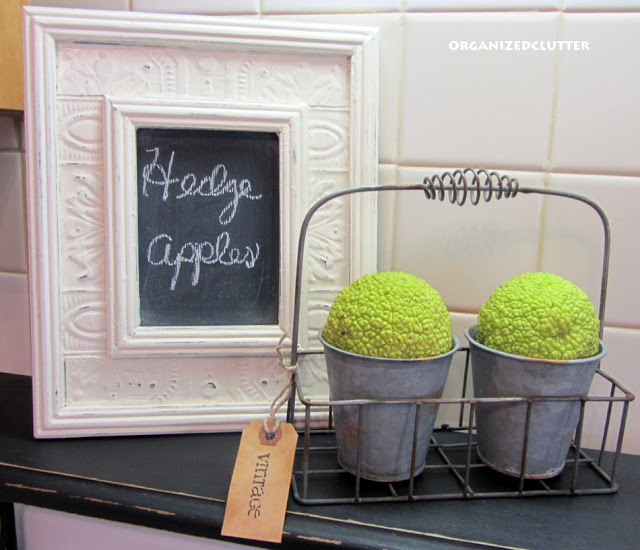 In Three Dollar Decor I show off my newly thrifted zinc pots in a wire basket. 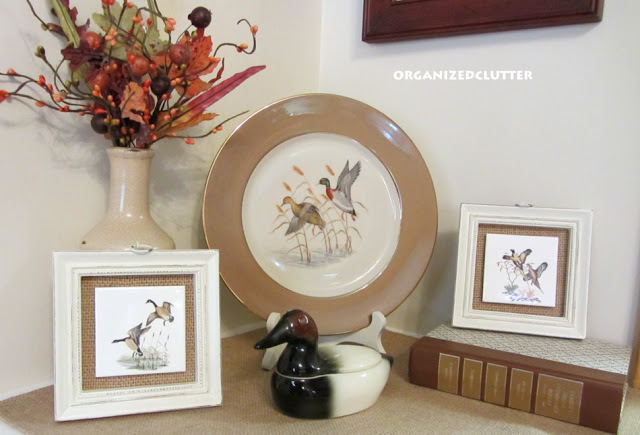 In Two Dollar Decor I painted two thrifted vintage framed Enesco tiles and added a burlap backing and painted the frames. 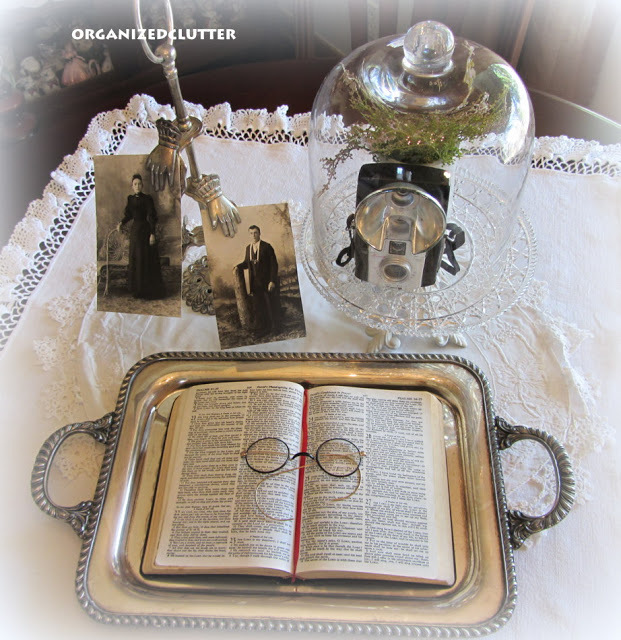 In Changing Up My Cloche I added my Victorian hand clip with photos of my great grandparents and a vintage Bible. 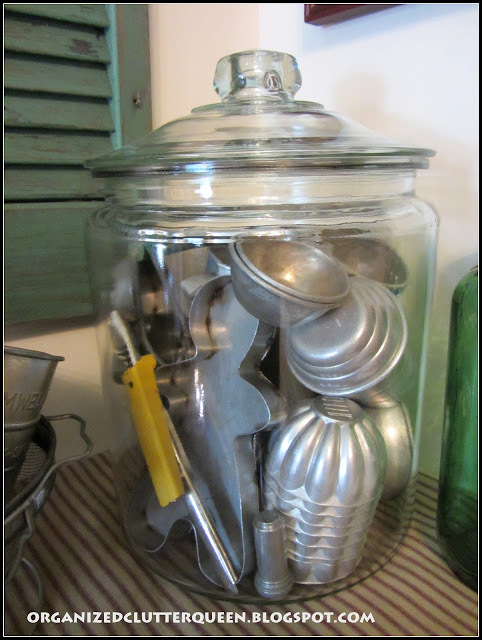 A large thrifted jar canister purchase became the center of this kitchen vignette. 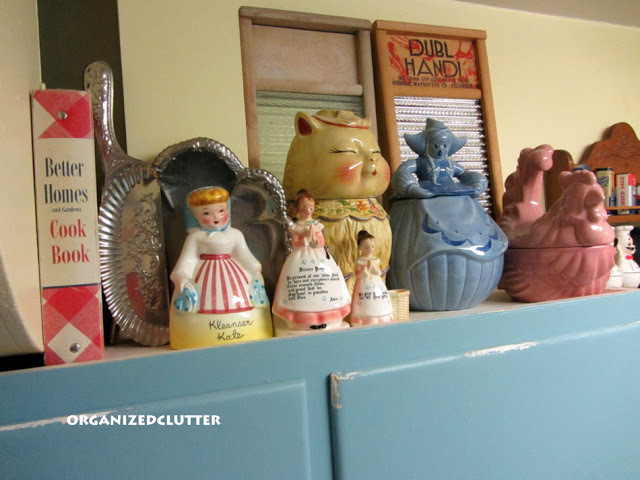 My kitschy collections and a vintage laundry room reveal. 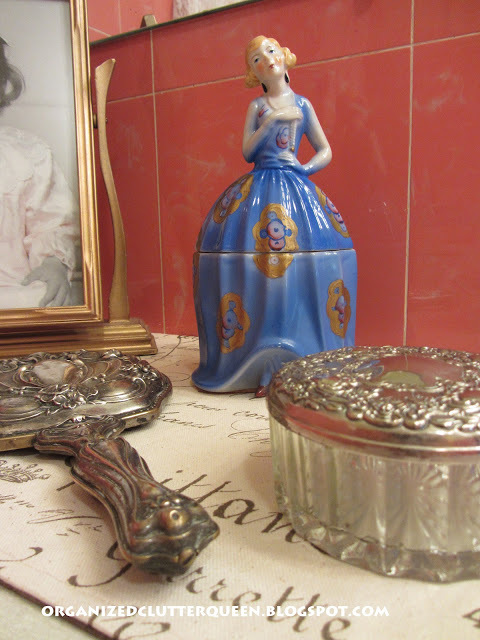 I shared my excitement over finding a beautiful, vintage, lady vanity jar. Thanks for stopping for a review! I can see my basement laundry room as I sit at our computer, and wish it looked remotely like yours! 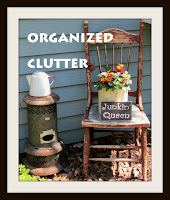 Carlene I'm glad you did this review of your vignettes! Makes me very happy to see them. Can't wait for 2013 and more more more! Great vignettes and great items!! We enjoy the same type of things! 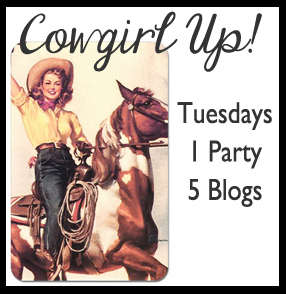 Wonderful vignettes! Love the header, too! So pretty, you've done a lovely job! Great vignettes, I remember many of them. Happy New Year.